Description: Dill, is an annual herb in the celery family Apiaceae. It is the sole species of the genus Anethum. The name "dill" comes from Old English dile, a West Germanic word of unknown origin the plant having the carminative property of relieving gas. 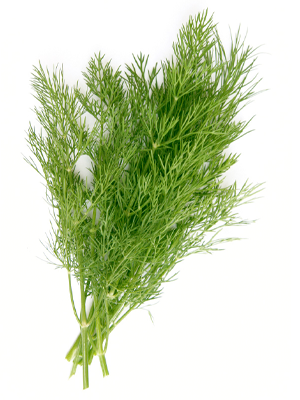 Our aromatic Dill adds a refreshing touch to soups, salads and sandwiches. It’s also the perfect complement to Salmon and other fish.